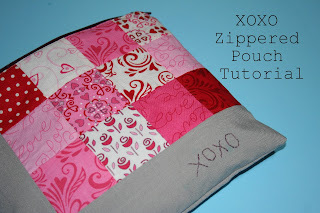 Happy Quilting: Happy Valentines Day Thowback!!!! Happy Valentines Day!!! Isn't this just a great day to think about the ones we love!! And it's a super fun day for quilting because I love getting to piece Hearts!! I woke up and I was thinking about this little Lots of Love Mini that I made for Barbara two years ago. I used the hearts from my Lots of Love Splendid Sampler block as inspiration and came up with this mini (that I did a tutorial for over here with all the math for different size hearts ;) to represent Bob and Barbara, their 6 children and spouses, and their 24 grandchildren. And it hit me, it's time to make a new mini because we had two more wee ones join the family in the last year. Looks like some more Heart piecing for me!!! And all of those hearts had me surfing back through my blog to find all of the Valentines inspired projects I have made and I came across the Simply Charmed Blog Hop that I did in 2012 (wow, 6 years ago) and I knew I just had to share it again!!! This was a fun little event that several of my good blogger friends joined me for. I asked each friend to make a Valentine's inspired project and tutorial using a Charm Pack and the creativity was amazing!!! 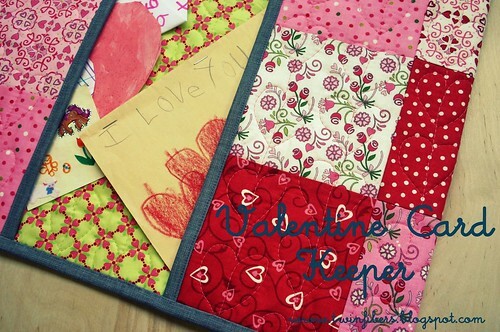 How great are these projects for getting in the Valentines Day sewing fun!!! 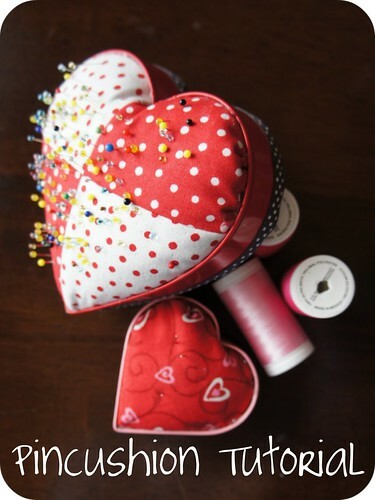 I hope you all have a very Happy Valentines (with maybe some Happy Sewing too :) Day!!! Love your heart mini. 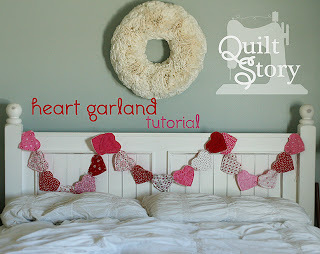 And the heart Garland. these are wonderful, wish I had seen this a week ago, there is always next year, thanks for sharing! Close to Finishes equals Add More Starts!!! Bumped way up the "To Make List"